Extremely low Typical Electricity Consumption (TEC) value of just 1.2 kWh/ week. 4.3" tiltable color touch panel display with a new customizable home screen, where users can personalize their individual home screen to set up shortcuts that speed repetitive tasks. Up to 1,350-sheet paper capacity. One standard paper tray and up to two optional paper trays to accommodate letter, legal-size and specialty stock papers. Utilize a wider range of print streams with PCL5c/6, support for XPS and genuine Adobe® PostScript® 3™. Integrates seamlessly in Windows, Macintosh or UNIX environments with standard 10BASE-T/100BASE-TX Ethernet and USB 2.0 interfaces, as well as optional Gigabit Ethernet, IEEE 802.11a/b/g and IEEE 1284 , Bluetooth interfaces. Users can now print directly from most manufacturers' smartphones by downloading their application for convenient output where and when it's needed most. 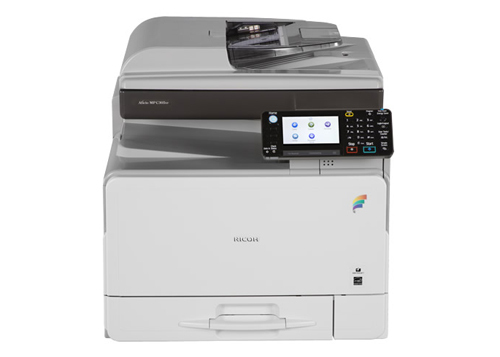 Users can now utilize the standard USB drive or SD Card to preview and then seamlessly print their jobs directly to the device without using a PC. "Schedule Print" feature enables users to print their jobs at a specified time to avoid interrupting other print jobs during the course of the day. Minimize wait time and relieve network congestion with PDF Direct Print, which enables you to print PDFs without opening each file in Adobe® Acrobat®. Protect sensitive or confidential scanned documents with security features, including encrypted PDF transmission. Users can scan different sized originals to the same size using the new Reduce/Enlarge scan function. Forward incoming faxes to an e-mail address, so users can receive important documents anywhere - even if they are away from the office. 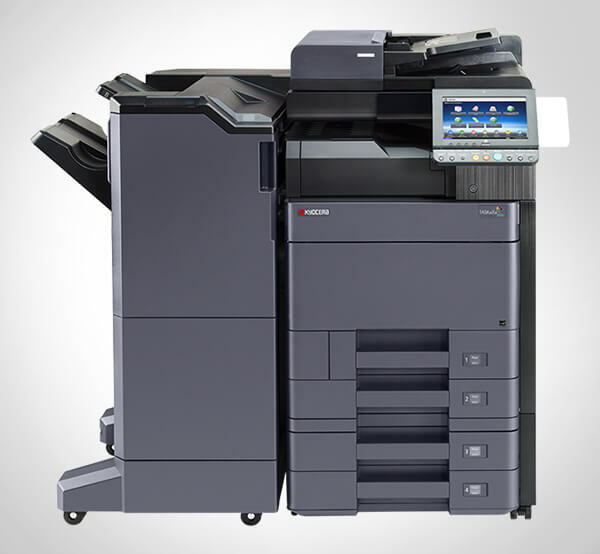 Prevent confidential documents from unauthorized viewing with Locked Print. It requires a password before it releases any file for output and deletes the file automatically from the MFP's optional hard drive. Administrators can set user account limits on the amount of copy and print jobs that are allocated to each user. Eliminate manual meter data submission with the Ricoh @Remote Intelligent Management System. Note - Some features may require additional options . . .